Availability : Mon to Sat 9:00 A.M. to 9:00 P.M.
Advocate Girdhari Lal Chaurasia has been practicing and handling cases independently with a result oriented approach, both professionally and ethically and has now acquired many years of professional experience in providing legal consultancy and advisory services. Advocate Girdhari provides services in various field of cheque bounce laws, criminal laws, family law, consumer cases, property related matters, divorce matters and drafting and vetting of various agreements and documents. Advocate Girdhar enrolled with the Bar Council of Uttar Pradesh in 1993. 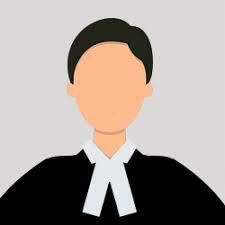 He is a member of the Gratar Agra Bar Association. Currently, he is the Secretary, Gratar Agra Bar Association, Civil Court, Agra.